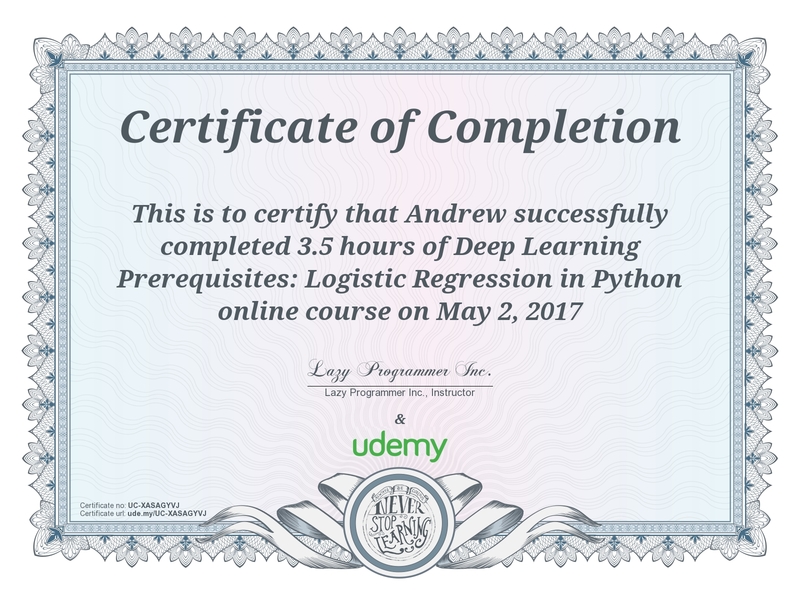 My last review covered Lazy Programmer's Numpy prerequisites course on Udemy. In my goal to learn more about NLP, I'm continuing through the courses this instructor has designed. To this end, that requires two additional prerequisites: Linear Regression and Logistic Regression. This review covers those two separate courses. These two courses are each short three hour courses giving a crash course in how to perform linear regression analysis and logistic regression analysis. The courses cover both the theoretical math needed and the more practical Python code needed. The instructor states, several times, that simply copying the code isn't good enough in the later courses. The mathematical background is needed to succeed later. With that in mind, I spent most of these lectures relearning much of the math. The instructor provides several detailed "Theory" lectures and I found those helpful. After the theory is introduced, the next step is applying this in code. The instructor's code is short and to the point. It shows the what was just taught and provides efficient numpy code to convert the theory into something workable. Once again, I'm happy with the instructor and their teaching style. I think this will go well with the future courses I'm planning on taking that are by the same person. I'm continuing to brush up on those math skills that haven't been used in a while, but at this point, I am happy with how everything is heading for this series of courses. I've posted my IPython Notebooks on GitHub for all three of the courses related to the prerequisites. I am still looking forward to taking the courses designed by the Lazy Programmer. The series of prerequisites were very helpful in helping me to catch up on the skills I'll need, but didn't know (or remember much of) ahead of time. With the actual content coming up, I am hoping the lecture style and hands on coding sections continue be the same quality. 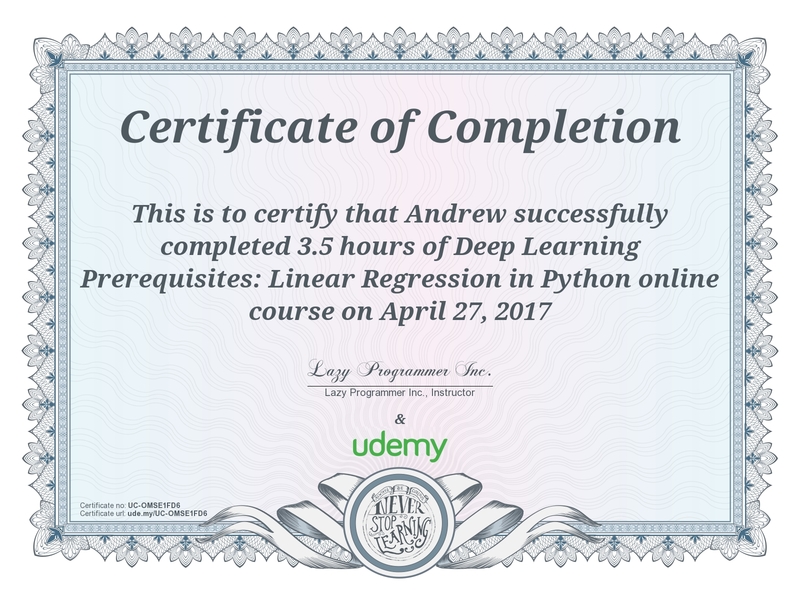 The Linear and Logistic Regression courses didn't require much in terms of software - Python, numpy, pandas and matplotlib - but I still need to decide how I'm going to proceed with the courses. I'm not sure whether or not I want to set up a Linux machine or a virtual machine. Windows doesn't seem to play well with all the libraries I'll be needing. It may make my life easier too. So far, everyone seems to be using a Mac or Linux machine to teach these courses and offer only basic "It may work on Windows" advice.